A new blueprint for diabetes care has been published by NHS England in a bid to improve and reduce variation of care. 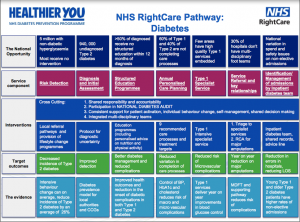 The NHS RightCare Pathway: Diabetes lays out core components of an optimal diabetes service, focusing on specific areas of intervention where the return on investment is likely to have the greatest outcomes and cost benefits. It comes following a thorough trawl of data, evidence and best practice and also identifies seven priority areas, including type 2 prevention, diagnosis, care planning, inpatient safety, footcare, structured education and a specialist type 1 diabetes service. NHS England says the document contains “evidence of the opportunity to reduce variation and improve outcomes and the key evidence-based interventions which the system should focus on for greatest improvement”, supported by examples from across the health service. The pathway allows commissioners to compare local services with an optimal diabetes service, NHS England said. It provides guidance for commissioners about the scale of improvements that could be delivered through optimisation of local pathways. The document is accompanied by Appendix 1: Examples of good practice, which outlines examples of models of integrated care between primary and secondary care as well as containing useful links and resources. The pathway has been developed in collaboration with the National Clinical Director for Diabetes and Obesity, Professor Johnathan Valabhji, Associate National Clinical Director for Diabetes Partha Kar, the NHS Diabetes Prevention Programme, Public Health England, Diabetes UK and a range of other stakeholders. Dr Kar, who is also the Associate Editor of The Diabetes Times, said: “The theme that runs throughout is the need to reduce variation, base interventions on evidence and gain maximal benefit, clinically as well as on a financial basis. 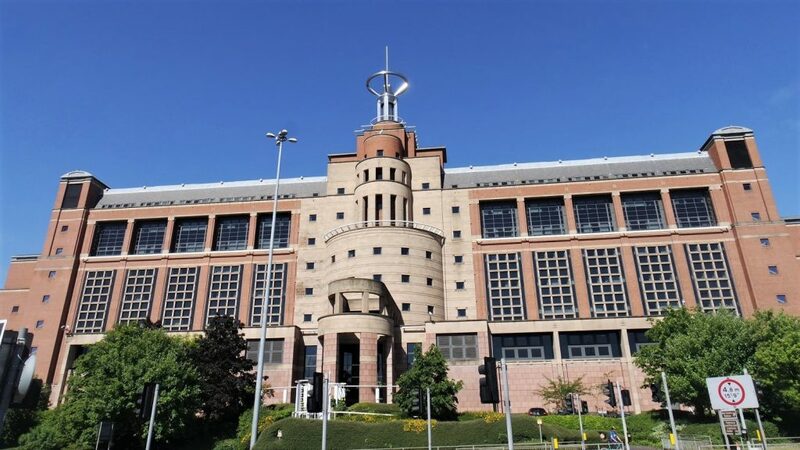 “The strategy also aligns with the recent release of the transformation fund, thereby showing the importance of delivery of these seven priorities highlighted. These are exciting times for diabetes care. NHS England is urging local health economies, supported by their NHS RightCare Delivery Partner, to use the pathway to structure local improvement discussions, particularly during the ‘What to Change’ phase of their RightCare work. NHS RightCare is a programme committed to reducing unwarranted variation to improve population health. NHS RightCare is about delivering the best care to patients, making the NHS’s money go as far as possible and improving patient outcomes. The seven key areas align with the Five Year Forward View and the cardiovascular prevention optimal value pathway. Identification of those at high risk of developing type 2 diabetes and increasing attendance in the Healthier You: the National Diabetes Prevention programme (NDPP) are both priorities highlighted by the document. Read more about the pathway in an NHS England blog called NHS RightCare Pathway: Diabetes: The Magnificent Seven by Dr Kar.